Missing The Forest For The Trees, Jews, Where Are You? This article was written for Voices Magazine and is in the most recent issue. There's nothing better I can write to celebrate Jerusalem Day, which celebrates the same day that Shiloh was liberated during the 1967 Six Days War. That expression is used for many “lessons,” missing the forest for the trees, when one gets all bogged down in details and forgets the true meaning or purpose. Many G-d fearing, Torah observant Jews live far from the Land of Israel and don’t mourn, apologize for the fact. They proudly state that they are super observant, stringent in obeying Torah Law by eating only the fussiest standards of Kashrut, keeping Shabbat & Holydays to their fullest, dressing carefully sans “shatnes” and by the strictest principles of tzniyut, halachic modesty. Leave your land and your traditions and your father’s house. And to where was Abraham and his family and followers supposed to go? The rest of the Chumash, divided into portions and read annually, is the story, the saga of that trek. It’s not just a guide book for tourists. The story is much deeper than that. It follows Abraham’s descendants as they very realistically get mired in all sorts of wars and enslavements until they, with the help of G-d’s miracles, are about to enter/reenter that special Land. That’s the “main idea,” the summary. We Jews are supposed to be in one Land and one Land only, ארץ ישראל The Land of Israel. The Jewish Month of Iyar is a special month. In the first week we celebrate Yom Ha’Atzma’ut, Independence Day, and towards the end we celebrate Yom Yerushalayim, Jerusalem Day. Both these days show us how the Hand of G-d controls Jewish History. David Ben-Gurion and his Jewish Socialist Zionist followers had been expecting to be more a “protectorate” than a truly independent country, but the young State of Israel was rejected by the world’s powers and had to survive on its own. And then nineteen years later, in 1967, when the young country was threatened extinction by the surrounding Arab countries, the United Nations and rest of the world stood idly by expecting (waiting for) us to be defeated and destroyed. But, again, G-d saved us, and not only didn’t we end six days later as we had began, but Israel found itself holding our historic Homeland, Judea, Samaria, the Jordan Valley, Gaza, Golan and the Sinai. As an added bonus we finally had defensible borders. This is a history of Biblical proportions and importance. Many Jews throughout the world understand G-d’s message and came, but there are still those who are caught in the trees. I can only feel sorry for them. I thank G-d every day for the privilege of living here in Shiloh and helping to build our nation. Baruch Hashem! The Six Days War and The Sin of The "Golden Calf"
For thousands of years Jewish philosophers, rabbis and others have wondered how the Jewish People, newly escaped-by G-d's miracles- from deadly slavery in Egypt could have so quickly sinned by forming and worshipping the Golden Calf. There were no certified accurate quartz watches in those days, so what if it had seemed that Moses was a bit late returning from his rendezvous with G-d on Mount Sinai? It seems such a pretty lame excuse to revert to Egyptian calf-worship culture. Moses's return from Mount Sinai, the presentation of G-d's Torah to the Jewish People was supposed to be a joyous event, the Shavuot Holiday. The Jewish People were expected to accept it and quickly enter the HolyLand, but things didn't quite go as planned. Nothing in timing is without reason. G-d is in charge of the calendar, and that's why the 1967 Six Days War happened during the forty-nine (49) days of Sefira, the Counting of the Omer, between the Second night of Passover and just before Shavuot. The war ended less than a week before Shavuot. The Liberation of Jerusalem, Yom Yerushalayim, is the same day of the week as Shavuot. After the nineteen years of Jordanian rule and decades, centuries millennium of Jewish restrictions, finally Israel, The Jewish People had the Temple Mount, Har HaBayit b'yadeinu, in our hands. I have no doubt that the Moshiach HaShem was waiting right here to redeem us after our totally miraculous victory in the Six Days War. As far away as New York, where I was at the time, you could feel G-d's presence. The world stood in awe, just as it says in the Bible that Yitro and others "heard what had happened." And then... the door was slammed in G-d's face, like when the people demanded of Aaron to craft the Golden Calf. The keys to the Temple Mount, Har HaBayit were given to the Muslims. G-d willing, soon we will be ready to embrace G-d, His miracles and all of our Holy Land. Why are Israelis "Nicer" Of Late? There was an interesting piece in the Jerusalem Post Magazine. I can't link it from the magazine, because it's of their "premium," for pay only online deal. That's even worse than the New York Times, but like most of the good articles in the times, I found this one, The new, nice Israeli by Larry Derfner, someplace else. Just google the title and author and you'd be amazed at what you can find for free. 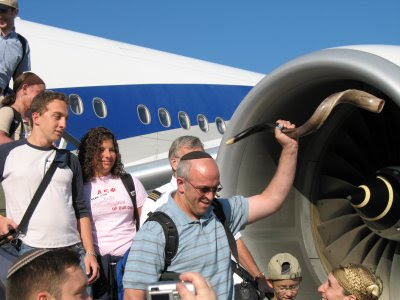 I was able to get the photo that illustrated it from the JPost site. I don't know who the photo editor is, but he/she has a sense of humor. I can't imagine a less attractive or suitable photograph to illustrate an article that supposed to show how Israelis have gotten nicer the past couple of decades, than these two poorly dressed overweight ladies. This nice, new Israeli flies in the face of a pet theory of the Left (with whom I identify politically) – that the continuing occupation and slide to the Right is having a coarsening effect on people’s personal behavior. This may be true in the theater, movies and novels, but not in real life, I find. Israelis have become more callous toward Arabs in general, but I doubt that an individual Israeli Jew is now going to be more callous to an individual Israeli Arab, and I see no evidence whatsoever that Israeli Jews are now more callous, on a personal level, to each other or to foreigners. What I see, over and over, is evidence of the opposite. Why shouldn’t Israelis be happy? And if they’re happy, why the hell shouldn’t they be nice? And that’s what’s happened – in the last 15, 20 years (except for four years of intifada and recession) life in this country has gone from hard to easy, from constricted to free, and Israeli behavior, logically, has gone from rough to smooth. If you look at Derfner's "time chart," you'll notice that davka the "niceness" began a generation after the Six Days War. And yes, the reason is exactly the opposite of what the Left wants us all to believe. It's all very simple. During the pre-State time and the nineteen years when we had Auschwitz borders, Jews were constantly under attack. Our Capital City, Jerusalem, was surrounded on almost all sides by enemy Arabs; sniper attacks were frequent. And the situation in the rest of the country wasn't any safer. The Syrians used to Golan Heights to attack Israel. The Golan overlooks Israel's pre-1967 agricultural land. Judea and Samaria are next to, right next to Israel's coastal plain, known as "hamerkaz," the center of the country. Prior to the Six Days War, these were dangerous border towns when Jordan was in charge. Yes, places like Rosh Ha'ayin, Petach Tikvah, Kfar Saba and Lod-Ben Gurion International Airport are a very short ride or hike to the old border. Now think about it. What has really made Israelis nicer, calmer, less likely to be stressed out nervous wrecks? It's the fact that when the dust settled and the bullets stopped flying forty-four years ago at the end of the 1967 Six Days War we finally had defensible borders. Yes, we were finally holding more of the Land of Israel, from the Golan Heights to the Suez Canal, from the Mediterranean to the Jordan River. That physical, geographical security has "softened" your typical Israeli. It also brought emotional optimism and financial wealth. Prior to the Six Days War, Israelis were leaving in droves and the common "joke" was that "the last to leave should turn off the lights." If we, G-d forbid, give this precious Land away to our enemies, there won't be any of us left to turn out the lights, because the Arabs plan on killing us all, Right, Left and Center. They don't care what our politics is, or they would have returned Gilad Shalit. Yes, the Leftists aren't immune. Wake up! Arab Anarchy and Terrorism, Is It Just A Matter of Money? Some of the (or all of the) per capita richest countries in the world are the Arab ones sitting on expensive (supply and demand) oil, but Arab countries don't help their own people, and they're not interested in democracy. It has been announced that the Group of 8 western powers are going to bankroll the insurgency, protest movements in Arab countries. At a series of working sessions that lasted until the early morning hours Friday, representatives of the Group of 8 expressed concern that the democracy movement in the Arab world could be “hijacked” by Islamic radicals if the West did not help stabilize the economies of the two countries that touched off the Arab Spring, according to two European diplomats who were present during the discussions. Money won't change things. It'll just encourage more violence as more and more Arabs will be encouraged to try to get rich by rebelling/rioting/protesting. The ordinary Arab citizen of those countries will only see one big change, the face in the fancy portrait staring at him/her in public buildings. This wonderful video of the young Binyamin "Ben Nitai" Netanyahu is again going around the internet and emails. And again it's worth watching and listening to. The pre-politician Bibi showed himself to be extremely knowledgeable and talented in describing the real situation here in the middle-east. Facts, history and geography aren't like fresh milk that spoils. The points Israeli Prime Minister Binyamin Netanyahu made are just as true and important now as they were then, over thirty years ago. Now, why does Bibi refuse to follow the expert advice he suggested all those years ago? As usual, Caroline Glick's Latma gets it Right about what's happening here in Israel. Kashrut Alert! Do You Know What Fish Your're Buying/Eating? At what stage of "production," the shipping, catching, skinning, fileting, packaging do the official kashrut observers enter the scene? This wonderful slideshow/video, says it perfectly. The British encouraged the Arabs to emigrate to the Mandate land to counteract the Jewish Zionist Movement. The Muslims when on the Temple Mount defile it with sports and pray facing away. The so-called "Palestinian" leadership are relative new-comers to the area. I really don't see any big policy, ideological difference between Republican Bush and Democrat Obama when it comes to Israel and our keeping (or rights to) the Land we liberated in the 1967 Six Days War. Neither recognize our rights to be in the Jewish neighborhoods like Ramot, Ramat Eshkol, Gilo etc. Neither supports Israel's annexing Judea, Samaria etc. So why didn't Bush get the condemnation that Obama keeps getting? It's simple. Obama's speech writers, the people he pays to write his speeches about Israel and to Jewish audiences aren't as good as the ones that Bush used. Remember that being a good actor, reading a pre-written speech with sincerity and pathos is a requirement for the American Presidency. It's pretty well known that Eli Wiesel was involved in the writing of Bush's best "Israel speeches," and nobody is more eloquent on the subject. Obama's speech writers just don't know how to make him seem like he truly cares about Israel's survival. You remnant of holy ancestors. You inheritors of a land flowing with milk and honey. You descendents of prophets and kings. Oh brothers and sisters in exile, hear these words. vouchsafed as an everlasting inheritance. Children of this great and hoary Nation, take heed. Upturned and destroyed by arrogant conquerors, the great commonwealth of spiritual splendor spilled its people to the corners of the world. Progeny of the bitter exile, listen to my call. The Rock of Israel has not forsaken. He has gathered and carried us home. The desolate land has blossomed for its redeemers. Alas, those who contest are at our gates. They vomit falsehood. They defy our priviledge. The children in Israel will wear kingship. But you who still dwell on foreign shores. Aliens in a dream. Alas redeeming people, you must arise and take your claim. Helen Freedman, Executive Director of AFSI, is a very special friend. Her words are wise. It was with great pride and pleasure that I listened to Prime Minister Benjamin Netanyahu address the U.S. Congress on Tuesday, May 24. The applause that greeted him over and over, from Democrats and Republicans, reflected the genuine good feeling that Americans have in regard to Israel. Despite the distortions of the liberal left-wing media, most Americans understand that, as the PM said, "Israel is not what's wrong in the Middle East. Israel is what's right." They also understand that "the conflict has never been about the establishment of a Palestinian state. The conflict has been about the existence of a jewish state. " I also enjoyed hearing Netanyahu assert that there is no need to develop, democratize, nor defend Israel, since Israel is already a developed, democratic country in the Middle East,able to defend itself. Of course, when I hear the words, "painful concessions," I cringe. We know what that means and we know that the prospect of removing Jews from their homes is intolerable. However, since we also know from past "negotiations" that the Arabs will never speak those magical six words, "I will accept a Jewish state," we pray that no more token concessions and "sacrifices for peace" will be necessary to appease the enemy appetite. Man likes to think he's in control. So many people refuse to believe in G-d. G-d doesn't murder, but G-d controls nature. That tornado in Joplin, MO is really something. And again there are volcanic eruptions in Iceland. I can list lots of quotations, ad nauseum. They all show that none of Israel Prime Minister Binyamin "Bibi" Netanyahu's offers and concessions, nor of any other Israeli official or "big mouth," have softened-made them more amenable to true peace- the Arabs. Add more such quotations in the comments, please. Simply put, Bibi is barking up the wrong tree! Netanyahu has it all wrong, just like Lot who thought he was doing the right thing, because he was being a good host like Abraham, protecting his guests. Bibi's talk about the dangers of the 1949, pre-1967 borders are correct, but his compromises are even more dangerous. "Now the threat to my country cannot be overstated. Those who dismiss it are sticking their heads in the sand. Less than seven decades after six million Jews were murdered, Iran's leaders deny the Holocaust of the Jewish people, while calling for the annihilation of the Jewish state." Bibi, you're the one sticking your head in the sand by offering our precious irreplaceable Land to people who want to annihilate us, enemies more dangerous than the Nazis! A good friend of ours, someone who has guest-posted here a number of times, Yitzhak Heimowitz has started his own blog, Articles you'll never see in the press. I'll miss his contributions to my own blog, but I'm very happy that now he has his own forum to publish is views. Please check it out! A young neighbor across the street has started posting a daily "news show" he calls "Jews News." You can get it on youtube or facebook. It's a news commentary with some "shtick" and his unique brand of humor. There are always some good points, making it worth watching. I find the idea of blogging a weekly video commentary very tempting. Maybe I'll try it later on. 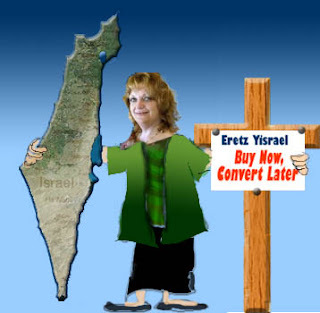 In our previous report Jewish Israel disclosed that Baruch Abrahamovich (Avramovich), the leader of a group of 1000 evangelicals attempting to make aliyah, purportedly convert to Judaism, and purchase land for a settlement in Samaria, is an active and committed messianic Christian. Beyond the Israeli political assistance, it seems this group of 1000 Russian-American Christians are receiving guidance and support from “spiritual” sources in Israel. Jewish Israel contacted and interviewed rabbis who are involved with members of the Hebraic Roots movements and who are in contact with Baruch Abrahamovich. In our next installment of this report, we will take you on a spiritual journey beyond the absurd. Obama's AIPAC Speech, Where Were The Booh's? On one hand, I don't take political speeches seriously, especially the American ones. But on the other hand they do give hints to actual policy if you listen very carefully. United States President Barack Hussein ordered a speech for his AIPAC appearance that would get him lots of cheers. I'm not cheering. I just listened to the entire speech and it's just the same as before. The consistency is what's important to note. 1- Obama takes for granted that a Pseudostinian aka Palestinian sic State will be established on Israeli Land, and if Israel insists that it keep any of the Land it LIBERATED in the 1967 Six Days War, it must compensate the Arab terrorists by giving Land that had been in Israeli control prior to the war. I don't see anything worth cheering about in that! 2- To "sweeten" or distract Israel and pro-Israelis from the obvious dangers, the United States will allow Israel to buy or receive military equipment. Duh!? This doesn't sound like a very peaceful scenario. What/Why were all those people cheering? Was there some director holding "applause signs?" "You're setting us up to be slaughtered, to die!" THE EMPORER HAS NO CLOTHES! HE'S STARK NAKED!!! Never Too Late To Enjoy Havel Havelim! It's probably still Lag B'Omer somewhere in the Jewish World, and Havel Havelim posts keep well, so it's not too late to enjoy #317 at the Rebbetzin's Husband. Havel Havelim is the Jewish blog carnival, like a floating internet magazine, containing a wide variety of blog posts of all perspectives. Please publicize it and check out the posts. There's always plenty to read, comment on, link and think about. To contribute your post to the next one, send via blog carnival. Let's just drop politics for a few minutes and enjoy the fact that Israeli, Yosef Cedar's film won the very prestigious Cannes Film Festival Award for Best Screenplay for his film, Footnote. As important as the Cannes Film Festival is for his career, profession, he made them wait until after Shabbat was over to screen his movie. And he didn't leave his hotel until after Shabbat had ended. International cinema big shots were understanding and supportive. They respect people who respect themselves. Nu, that line can't be ignored. I wasn't going to write "politics," but I have no doubt that if Israel was to be run by politicians who are honest, consistent and firm in the priority that Israel's security and historic rights are all we care about, the pressure would ease and disappear. Our "leaders" invite the pressure by reacting to it, trying to compromise and "be nice." Most important right now is a hearty and sincere MAZAL TOV to Yosef Cedar, his family and those who helped him produce Footnote. "I know I haven't gotten there yet, but I really want to. Believe me; I will come to Shiloh to pray on Rosh Chodesh. I just don't know when." "The מהפך Mahapach, the big change, revolution after the anarchy of שופטים Shoftim Judges in Biblical times started with Chana's prayers in Shiloh for a son to lead us. So how can any place be more suited to pray for good strong Jewish leadership than Shiloh?" Yes, they then agreed that their visit to Shiloh is long overdue. If the Jewish month of Nisan means miracle, why can’t our homes be cleaned miraculously? Just like the rain G-d sends down to wash the dust and sand off the koltei shemesh, solar panels which heat the water, why can’t G-d just send a miraculous wave through the house to clean away the chametz? I’ve been learning a lot of Bible in Matan this year. All those G-d given miracles only work with a special magic ingredient, our hishtadlut, our efforts. Consider it like matching funds. G-d will add His part if we do ours. Most of us like to complain, whether we admit it to ourselves or not. We want others to do, fix etc. And the main “other” is G-d. Here in Shiloh, I’ve found myself thinking a lot of Biblical Chana. On a recent Shabbat I attended a shiur by Rabbi Arye Mendelkorn, one of the many neighborhood rabbis. He spoke of the mitzvah of p’ru urvu, “be fruitful and multiply.” My mind was someplace else, unfortunately. I suddenly got all upset, considered it a very peculiar mitzvah. According to the rabbis, it’s a male requirement, but no man can do it on his own. He needs a woman to be pregnant from him and carry the baby to term. But it’s not so simple, because there’s a third “being” involved, G-d. And G-d has veto power. So how can G-d command us, or more specifically a man to do something he can’t do alone and even if he does it all correctly with a woman, G-d can make their attempts failures? ה וּלְחַנָּה, יִתֵּן מָנָה אַחַת אַפָּיִם: כִּי אֶת-חַנָּה אָהֵב, וַיהוָה סָגַר רַחְמָהּ. 5 but unto Hannah he gave a double portion; for he loved Hannah, but the LORD had shut up her womb. ו וְכִעֲסַתָּה צָרָתָהּ גַּם-כַּעַס, בַּעֲבוּר הַרְּעִמָהּ: כִּי-סָגַר יְהוָה, בְּעַד רַחְמָהּ. 6 And her rival vexed her sore, to make her fret, because the LORD had shut up her womb. ז וְכֵן יַעֲשֶׂה שָׁנָה בְשָׁנָה, מִדֵּי עֲלֹתָהּ בְּבֵית יְהוָה--כֵּן, תַּכְעִסֶנָּה; וַתִּבְכֶּה, וְלֹא תֹאכַל. 7 And as he did so year by year, when she went up to the house of the LORD, so she vexed her; therefore she wept, and would not eat. It could be taken a different way. Maybe Elkana meant that Chana had nothing to fret about, because the mitzvah of p’ru urvu was on him, not her. Of course, it’s obvious that he hadn’t a clue as to what was actually on her mind, her plans and goals for a child. She didn’t want a child for her own personal maternal fulfillment. Chana knew that the Jewish People needed better leadership. Chana knew that G-d had commanded the Jewish People to anoint a king. Hundreds of years had already passed since the Exodus from Egypt and the conquest of the Promised Land by the Jewish People. Chana wanted a son to transform the Jewish People into a united kingdom, not some loosely related tribes. Chana poured out her heart to G-d in prayer in Shiloh. Her method of prayer is the template for ours today. G-d accepted her prayers, and Samuel was born to her and Elkana. Chana brought him to Eli the High Priest in Shiloh when he was old enough to be without her, but she didn’t just trust that he’d manage. She visited every year, bringing him a new coat and teaching him what she considered important. No doubt that Shmuel HaNavi, Samuel the Prophet would never have fulfilled his potential without his mother’s care and training. There are no miracles without our hard work. We must never give up. Miracles are the bonus given by G-d for our hard work. You can get information about visiting Tel Shiloh by calling 02-994-4019 or email telshilo@gmail.com And, ladies, please join me at Tel Shiloh for Rosh Chodesh Prayers. Rosh Chodesh Sivan is Friday June 3, 2011, 9:30am. Details on shilohmusings.blogspot.com or email me. Latma and the "PA's Peace Budget"
For more information about Latma, go to Caroline Glick's site. Glick has a very interesting take on Obama's speech in how it weakens the United Staes of America, the sections most of us have been ignoring. I recommend reading her article. I'm not surprised that United States President Barack Hussein Obama has taken the Arab side, claiming that appease aka "peace" sic talks start at the Arab demands. The Presidents Bush also made such demands, never fully recognizing Israel's rights even to all of Jerusalem. And re: Jerusalem, there are areas within Jerusalem in which terrorists rule and Israeli Police quake or have ceded security to them. Nobody gives Jews security there. Even worse, Israel's politicians, media and academics keep insisting that Israel can compromise with the Arab terrorists, share the Land that has been Israeli since June, 1967. That same Land has been Jewish for thousands of years! Only we Jews have a national history in this Land. From my home in Shiloh I can see both sides of the Jordan River. We have a very tiny piece of Land, and we're not demanding more than to what we have a historic, religious and moral right. The Israeli Government must cancel Prime Minister Binyamin Netanyahu's meeting with Obama declaring that there is nothing to discuss. The United States has fully aligned itself with our enemies. U. S. President Barack Hussein Obama is becoming more and more a Haman figure. When Haman first mentions to King Achashverosh the need to get rid of a certain nameless ethnic group, he isn't too specific about his plans. That's fine with Achashverosh who believed in delegating authority. It was only after his beloved Queen Esther revealed that she's of the nation that Haman got permission to destroy that Achashverosh began to understand the mess he had gotten himself into. This morning when I wrote a post saying that the United States isn't really a friend/ally of Israel, I had no idea that while I was busy at work, sans computer/internet, that Obama would spill the beans, take off his mask and declare that he expected Israel to withdraw from all of the Land we liberated in the 1967 Six Days War, a war that began because of Arab aggresssion, verbal and military. Egypt, Jordan and Syria all made it clear that their war goal/aim was to destroy the State of Israel and push all the Israelis into the sea. According to all international law, historic precedent a country that survives a war of aggression against it and finds itself in possession of land of its enemy that land goes to the victor! Therefore, we should never have given the Sinai to Egypt. Egypt lost all rights to it when it massed its tanks on it to conquer Israel. 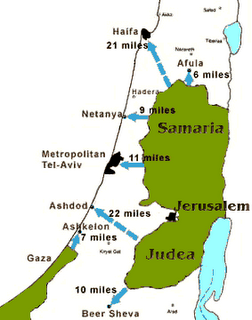 Jordan gave up all rights to Judea and Samaria when it attacked Israel. There had never been a Palestinian State. There is no Palestinian history that predates the fiction people spout today. Syria gave up all rights to the Golan Heights when it attacked Israel and lost it in the war. It's about time that Israeli politicians act like rsponsible leaders and do what's best for the State of Israel and not try to curry favor with those who don't care if we survive or not. Again, David Bedein has brought proof that the United States is supporting and training the PA terror army. I wish that Israeli Prime Minister Binyamin Netanyahu would stop his pilgrimages to the United States. There's nothing good that can come of it. United States President Barack Hussein Obama's speech-writers concoct sweet words to give the impression that the USA is a friend and ally of Israel, but the proof's in the pudding. They support our enemies and want to make our security situation impossible by establishing an Arab state that aims to destroy and replace Israel. Yes, that's the goal of the Pseudostinian aka Palestinian sic leadership. They don't have any intention to live in peace with Israel. They can't be pacified, mollified by getting my home in Shiloh. They have no history or connection here. They want Jerusalem, Jaffa (Tel Aviv,) Haifa etc. The Jewish People is the only People that ever had an independent country in this area of the middle-east with Jerusalem as its capital! Ever since the New York Times started its restricted use of links and reading for those who don't have paid subscriptions I've been boycotting ignoring the paper. Yes, it's perfectly possible to post political observations, news comments etc without linking to article from the NYT. There are plenty of other news sites; some are even just as rabidly and religiously Left. I still get their headlines to my email account. So I read that, and sometimes if I really want to see an article I google it and frequently find the article on a different news site. So, if anyone is losing out, it's the New York Times, not me. I guess that's why they just sent me a letter to try to convince me to take advantage of their latest discount to old friends like myself. Hitler’s Propaganda Minister, Goebbels wrote, “The bigger the lie, the more people will believe it.” Chairman Abbas, popularly known as Abu Mazen, obviously agrees. Abu Mazen specializes in turning facts on their heads. He wrote his doctoral dissertation in the USSR about the Shoah. He said A) It never happened. B) If it happened, it was vastly exaggerated by the Jews. C) The Zionists persuaded the Nazis to do it, so they could force more Jews to go to Palestine, to steal it from the Arabs. The New York Times publishes these lies unquestioningly as the Arab truth. While it can be understood that most people today don’t know what happened 64 years ago, that cannot excuse the Times, which has the files that reveal all the evidence. It is intentionally complicit in spreading the big lie. If you don’t like this, maybe you should switch from the Times to the Wall Street Journal. Mr. Heimowitz practices law in Tel Aviv. I'm a realist, a pragmatist and I have no doubt that if the Pseudostinian aka Palestinian sic Arabs form a government our work, our lives, our country, the State of Israel will be in extreme danger. There is absolutely no way the citizens of the State of Israel, whether they live in Tel Aviv or Talmon, Eilat or Eli, Beersheva or Beit El, Petach Tikva or Sha'are Tikva, Kiryat Gat or Kiryat Arba, Gival Shmuel or Givat Harel will be safe. No matter how you figure it, no matter what Bibi plans or promises, security of the entire country will be compromised. Israeli Prime Minister Binyamin "Bibi" Netanyahu is a smooth talker who for whatever reasons has entrusted our security to the worst possible Minister of Defense Ehud Barak Barach, who is now under investigation. Just look at the maps, and don't let those used car salesmen bamboozle you. I feel like I'm banging my head against the wall, repeating the same message over and over and over. The Arabs sing about Jaffa, Haifa, Acre, because they don't want Israel to exist any place. They don't want Jews or a Jewish state to exist. There is nothing we the Jews, Israel can do to make the Arabs agree to live in peace with us. The saftest thing is for us to stop trying. All the time we try to make peace they see us as weak, and when they see us as weak they attack us more. International politicians, diplomats and media like to be on the "winning team." As long as they see us ready to commit national suicide and give the Arabs our Land they will support the Arabs. If we stop all negotiations and make it clear that we are here to stay in all of the Land we now hold and annex it 100%, the world will begin to leave us alone. Our victory is up to us. All of those who claim that we need "American military aid sic" to survive are 100% wrong. First of all, all that we get are "shopping coupons" to use in American military businesses to enrich the American economy and weaken the Israeli one. And second this is Israel, the Jewish State where G-d affects reality, like Israel's totally illogical victory in the 1967 Six Days War. This morning I read a couple of very relevent chapters in the Bible, Samuel I Chapters 17-18. In it you can read of David's victory over Goliath. Goliath was a Philistinian fighter who mocked the Jews, daring them to send out someone who'd fight him. King Saul and his men were terrified. David arrived with some food for his brothers, heard about the threats and dare and volunteered to take on the giant. לה וְיָצָאתִי אַחֲרָיו וְהִכִּתִיו, וְהִצַּלְתִּי מִפִּיו; וַיָּקָם עָלַי--וְהֶחֱזַקְתִּי בִּזְקָנוֹ, וְהִכִּתִיו וַהֲמִיתִּיו. 35 I went out after him, and smote him, and delivered it out of his mouth; and when he arose against me, I caught him by his beard, and smote him, and slew him. מה וַיֹּאמֶר דָּוִד, אֶל-הַפְּלִשְׁתִּי, אַתָּה בָּא אֵלַי, בְּחֶרֶב וּבַחֲנִית וּבְכִידוֹן; וְאָנֹכִי בָא-אֵלֶיךָ, בְּשֵׁם יְהוָה צְבָאוֹת, אֱלֹהֵי מַעַרְכוֹת יִשְׂרָאֵל, אֲשֶׁר חֵרַפְתָּ. 45 Then said David to the Philistine: 'Thou comest to me with a sword, and with a spear, and with a javelin; but I come to thee in the name of the LORD of hosts, the God of the armies of Israel, whom thou hast taunted. If we do the right things, G-d will help. Read Their Lips: The Arabs Want Israel Dead and Gone! Our Arab enemies are very blunt and honest about their plans. They don't see a future with Israel. They are against a "two state solution." They won't recognize Israel nor its right to exist. The Arabs idealize murdering Jews. All this talk about negotiations and "two state solutions" are like Hitler's Nazi instructions to the Jews before being taken to death camps to pack their necessities valuables in a suitcase. It just made it easier for the Nazis to steal. I don't see the point in my elaborating on this. Why waste words? We must prepare to defend our country and destroy our enemies, from the inside and out! The bedlam on Israel's borders yesterday when Arab terrorists invaded Israel from Syria and Lebanon highlights the weakness of Israel's military defense policy. We, Israel, should follow the "shoot first, ask questions later" policy like all normal self-respecting countries. Israeli Defense Minister Ehud Barak is 100% wrong when he claims that "Israel's restraint saved lives." Things will only get worse, especially when you take into account how little the Arabs, the invaders and the rioters paid for their violent crimes. Restraint against violent enemies is dangerous, and these Arabs are out to destroy our state, nation. These Arabs aim to kill us all, even the Leftists in Tel Aviv. Why else did they (or the individual Arab terrorist who used a truck to murder and maim) choose Tel Aviv as the location for yesterday's terror attack? The most dangerous result﻿ of Israel's weak, pathetic, apologetic reactions to the Arab terrorist violence is that it will make the law-abiding Arabs afraid that Israel won't protect them. That will encourage them to support the terrorists from fear. Only a strong Israel can keep loyalty. When they see Israel afraid to react, they will support those they trust will protect themselves and their families. Ehud Barak's policies are "penny wise and pound foolish." Today he saved Arab lives at the expense of Jewish lives tomorrow. 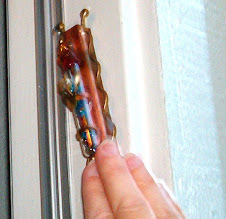 Susan's To Kiss A Mezuzah is the host of this week's Havel Havelim, the Jewish blog carnival. As usual she did a stupendous job. I really appreciate how she includes blog posts of a views, even those she does'nt agree with. That's the whole point of Havel Havelim. Jewish bloggers live all over the world, all different life-styles and approaches to Judaism. Most of us will never meet face-2-face, but by reading each other's blogs, we've developed friendships. Yes, I'm suggesting that you take a look and visit the participating blogs. 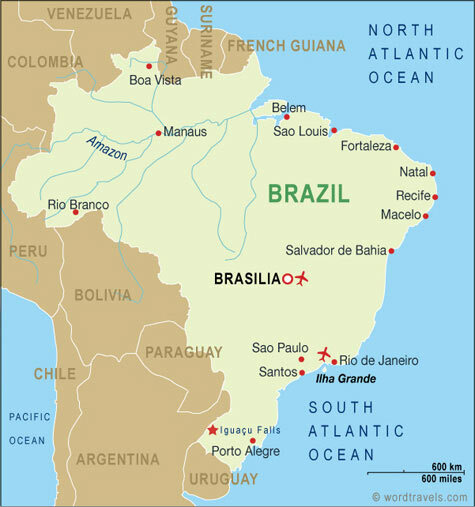 Fred sent me a very interesting link about the history of this part of the world. It's the Stratfor Country Profile on Israel. It's relatively accurate and objective as these things go. Their maps are pretty good, too. The only important thing they are missing is a key to indicate actual distance, size of the land illustrated. Too many people Nobody realizes how tiny this "contested" piece of land really is. from the looks of the maps, we could be as large as Brazil, Argentina, Japan or Florida. Actually, we're closest in size to New Jersey. "As long as Israel and Palestine are separated by a 50 mile demilitarized zone, Israel would be perfectly safe." He had no idea that there aren't 50 miles, about 70 kilometers, between the Mediterranean Sea and the Jordan River. 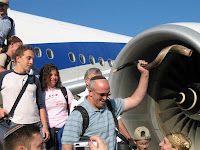 Just prior to the Pesach break headlines in leading Israeli press outlets were reporting that a group of 1000 Russian-American Christians had initiated steps to make aliyah and convert to Orthodox Judaism. The group, led by messianic Christian radio show host Baruch Abrahamovich (Avramovich), is reportedly seeking to purchase land and establish a commune-like settlement in Samaria. When the news broke, Batya found the story "strange" and she ran a post here. Many others are questioning the reports. Everything from the perplexing headlines to the conflicting and missing details in the varying news accounts indicates that something is very amiss with this venture and with the people behind the scenes. Yes, there's nothing like Latma to show what's going on in Israel in a new right light. Caroline Glick is the person behind Latma. There have been all sorts of reactions to my previous aliyah post, here and on Arutz 7 and facebook. I made the decision to make aliyah and live in Israel as a teenager, before meeting my husband, after taking on, due to the influence of NCSY, the more "accepted" or "popular" mitzvot like Shabbat and kashrut. I remember how I announced it to my parents. In a way you must feel sorry for my parents. I was a strange kid. In the mid-1960's when other kids were becoming "hippies" and discovering drugs, I was "getting high" on Torah. They couldn't imagine where they had gone wrong. I was just too different for them to accept. Nobody's kids were anything like me. "I'm going to live in Israel." "It's a mitzvah, and just like you couldn't stop me from keeping Shabbat and Kashrut, you can't stop me from making aliyah." I accepted that mitzvah, for good or for bad, and believe me it wasn't easy coming to 1970 Israel. But just like one loves one's children, no matter what, and we don't return them if "faulty," that's how living in Israel is for me. My personal bonus is that I honestly consider my life here in the HolyLand to be wonderful. I have no compaints. I can't imagine having a better life any other place in the world. Will They Ever "Connect the Dots?" This little video very clearly shows the connection between Hitler and the Pseudostinian aka Palestinian sic leadership. We know there's a connection and see it clearly, but most of the world refuses to see it. Yes, that includes many Jews and Israelis. Is Money the Key to Promoting Aliyah? We made aliyah as a young couple, very idealistic and probably stupid to boot. Not stupid because we made aliyah, but stupid because we never learned the system so that we'd have a financially comfortable retirement. Many "anglos," English speaking immigrants to Israel have the problem. Other "lantzmen" groups don't. I don't think we'd be as comfortable financially if we had stayed in the states. We probably wouldn't have had five kids either. We'd never have had been able to afford the tuition in the Jewish schools, nor health care. I don't know if we would have had been home owners either. Here in Israel we've always owned our own home. We never paid rent. Israel is the only place we've been as adults, not counting two years on shlichut in London 35 years ago. I developed all of my cooking and baking skills in Israel. I'm always fascinated by all the programs to attract "western immigrants" to Israel, like Nefesh b'Nefesh. It all sounds so cold and rational, so businesslike. There's a magic about living in Israel, things that can't be computed. I've never regretted a day that we made our home in Israel just weeks after our wedding. We came by boat, not by plane. No matter how you come, there are things you get by living in Israel that aren't in "this world." Davka, today as I quickly skimmed my me-ander blogroll, I noticed two posts about conversions, גיור giyur. I don't mean this as a Levy's Rye Bread ad, or "some of my best friends are..." but I do have quite a few friends and neighbors who are converts, Torah Jew converts. Here in Shiloh, converts, like BT's (ba'alei tshuva, those Jews-like myself-who live Torah Jewish lives though we weren't raised that way) olim, immigrants from all over the world and those descended from generations in the HolyLand live together without labels and discrimination. Of course there are various neighborhoods, groups of close friends and even cliques, but that exists all over and is very natural. There are people you meet who are "instant friends" and those with whom it's hard to find anything to connect with. In our Torah we're told to accept the convert and not remind him/her of the fact that they weren't born Jewish. Chaviva has been writing about her life, her conversions for a few years. She is very open about her feelings and experiences. Social media is now an element in the saga of converts and according to Chaviva, there's a downside in all the openness. Frum Satire is generally a light, ironic and purposely shocking blog, but Heshy has posted a guest post by someone in the process of converting which expresses the difficulties of being in that long winding tunnel going from being a goy, non-Jew to being a fully recognized Torah Jew*. Both posts are worth reading and commenting on. As I became religious I had an easier time, since it was just between me and G-d. But coming from a Jewish home I had to deal with criticisms and comparisans. Also there was/is the element that you "can be Jewish without" doing all that stuff. Or "my religious friend/relative doesn't do -- so why do you?" *Torah Jew, I use that term, rather than the American "Orthodox Jew" for a few reasons. First of all, the term "Orthodox Jew" is an American label to distinguish it from Reform, Conservative, Reconstructionist etc Jews. In actuality, it doesn't exist in most other places. It's not used in Israel except by those who know it from the states. And I am Israeli, have been for close to 41 years. Second is that there's nothing Jewish in that adjective "orthodox." I prefer to describe myself as a Torah Jew, because I try to live following the G-d given Torah, not some governing board of an "Orthodox Jewish" organization. This first video is the story of Jews who came from all over the world to volunteer for the Israeli Defense Forces at the very beginning of the state, the War for Israeli Independence. The stories are amazing. One of my uncles, my mother's brother, Izzy Shankman, who was one of the volunteers who helped on the ships that brought "illegal" immigrants before the British left. He never liked to talk about his experiences. The last few times we saw him he made an exception for us, because he felt that we "understood." This music is illustrated by pictures of young Israeli soldiers. Today's soldiers are drafted into a modern army. Their experiences are very different, if we were to hear them, of the early soldiers in the first video. The State of Israel is 63 years old. I think that we should stop stressing that low number and start playing up the fact that the People of Israel, the Jewish Nation is thousands of years old. We're not some modern phenomena dreamt up by a bunch of European journalists and diplomats. Our history outruns most others, especially when you look at the whole picture. We are the only country, people, religion still connected to the same Land, location, sites, history we were all those thousands of years ago. That is what and why we should be celebrating today and always! We, the Jewish People never died and we never totally left our Land. There have always been Jews living in the Land of Israel, even at its darkest moments. One of the things that made last night's Memorial Day Ceremony in Shiloh so intense and draining for me is the fact that as part of the community for thirty years I wasn't sitting with strangers. There are so many levels to people's identity, and the longer you know them, the more intimate everything is. The beautiful young woman who hugged the bereaved teen is herself a miracle of faith over science. And the two neighbors who "by chance" ended up sitting side by side have both "rescued" are both in need of prayers, as is the man who because of G-d's mercy sat not far away. Every time my eyes strayed over the crowd, I saw other bits of "history." I don't want to write more on this vein, because it shouldn't become a "guessing game" which would make it halachikly (according to Jewish Law) problematic. No doubt every Jewish community here in Israel can be described in a similar way, but there's a special intensity in a place like Shiloh. Appease aka Peace sic Now and its "fellow travelers" all over the world try to make us out as invaders, easy to demolish (G-d forbid) temporary and disconnected to the Land we cherish. 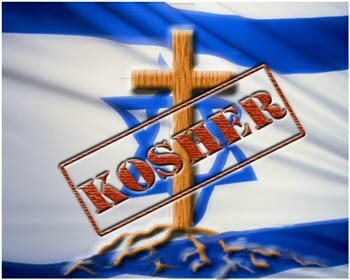 But the Jewish People of today wouldn't exist if it weren't for the Land of Israel which holds us together. It's to the Land of Israel, the Land G-d ordered us to enter, promised would be ours that has been the focus the target of Jewish existence for thousands of years of exile. It's here in the Land of Israel that Jews from all over the world have melted are melting/uniting into one Israel. It's an ongoing process, and we are far from finished, and we are far from completing the process. In Judaism faith isn't enough. Our religion demands actions, active mitzvot. I thank G-d for having me born in this time in history to be part of it. I've had a long day, B"H, working, and then I went straight to our Shiloh Memorial Ceremony in which we, as a community mourned our neighbors, mostly kids, who had been killed by Arab terrorists. The other part of the program included a number of neighbors, actually including my husband, who talked about friends who had been killed by our enemies in Israel's wars. My husband talked about our Betar friend, Chaim "Chuck" Hornstein Haran, HaYa"D, who was one of the IDF soldiers killed early on in the 1973 Yom Kippur War. Chuck was a "chayal boded," lone, family-less soldier who came to Israel on his own and served in the army. In those days there were no special privileges for a "chayal boded." Telephones were rare, and that was to make local, to an Israeli number calls. Staying in touch with family and friends abroad was very difficult. Calling overseas needed special phone lines and operators. Almost thirty-eight years after the Yom Kippur War and over forty years since our aliyah, we still have the same friends from New York Betar, so Chuck and Eli Solomon, another friend killed a couple of months later, live on strongly in our memories and friendship. I feeled drained from the emotional program. After getting home, one of the first things I read when I checked my email was Ben-Yehuda's latest Havel Havelim. He makes a point of including posts, even if he doesn't agree with them. I agree with that approach. We can each write what we want on our own blogs, but as a community, everyone is allowed to express their opinions. That sort of respect for one another makes Havel Havelim and Jblogging so wonderful. So on a night as miserable as this, I find comfort not only in my Shiloh community but by being part of the wide world of Jewish bloggers. Just to end with something another more upbeat story. Last week when traveling to work I noticed groups of girls with Israeli flags at certain junctions on the road. I didn't have my camera out when I finally was able to read their sign. They were memorializing victims of Arab terror at sites of murders. Yes, I do consider this "upbeat." These young girls show strength, not fear. They recognize that there's never any promise by G-d that we'll all survive. They're being raised to always do their best with what they have. I was reading this Foward article about a famous, super-valuable Judaica collection for sale, the Valmadonna Trust Library. $25 million did seem outragously expensive for books, even those as old and valuable as a Bible, completed in 1189. 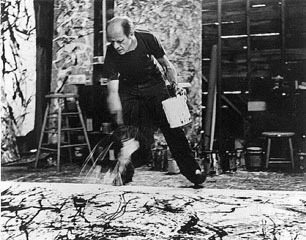 Then the article mentioned that people spend more for one "lesser Picasso," and then it put things in a very different perspective for me. For those who have the money, a Picasso just needs some wall space and a security system. But a library needs a room, or more, and suitable shelving and security. When I had asked Matan's Malke Bina about trying to get a donation of English-translated reference books, her reply was that they'd need the space and shelves as part of the donation. There's no room in the Beit Medrash, Library for more books. What really is more valuable, a Jackson Pollock, Andy Warhol, Picasso or a library of irreplaceable Judaica? Why Credit Obama With Bin Ladin's Execution?